Lexington is commonly referred to as the “Horse Capital of the World”. Lexington is home to a variety of horse related attractions including the Kentucky Horse Park, Keeneland Race Course and more recently, was host to the 2010 FEI World Equestrian Games with over half a million horse enthusiasts in attendance from around the world. Lexington Ky is located in Fayette County and is known around the world for its magnificent horse farms and equestrian communities. Some VERY large private and commercial horse farms are located here. 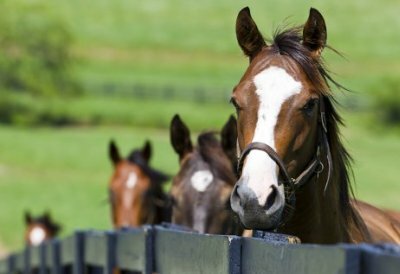 From world renowned properties such as Calumet Farm, to private equestrian enthusiasts, Lexington remains attractive for horse persons of all abilities and interests. Lexington also features the Keeneland race track & the Fasig-Tipton Equine Auction House which has been a tradition many years. We specialize in Lexington horse properties, farms, & ranches for sale. If you are looking for an equestrian professional, we are happy to help! We pride ourselves on being able to make searching Kentucky horse farms for sale fast with our easy to use one click searches for the most popular cities and counties in central Kentucky.